Texas Hold’em is a game of strategy, like any poker game, but where you’re sitting in relation to the action becomes part of your strategy when playing Hold’em. If you bet early, you generally need better cards than you do if you’re one of the blinds. 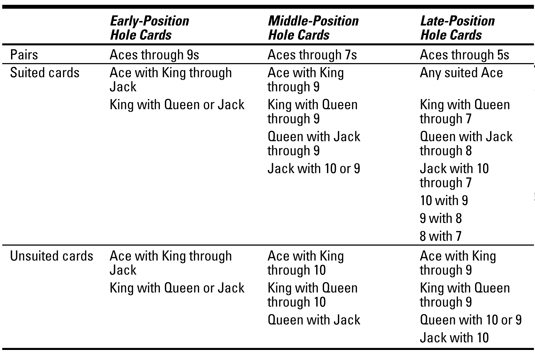 The following table offers sound advice on what hands are playable when you’re sitting in different positions.